The future of the car industry has less to do with the car itself and more to do with what services the car offers, according to Carlos Ghosn, chairman and CEO of the Renault–Nissan–Mitsubishi Alliance. 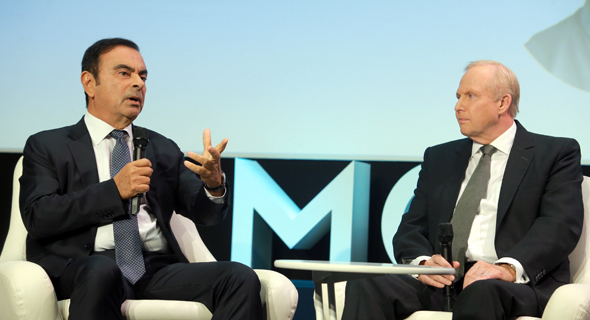 On Monday, Ghosn participated in a panel on the automobile industry’s electric revolution, held at the opening of this year’s Mondial de l'Automobile auto show in Paris. The panel was moderated by David Barroux, editor-in-chief of French financial newspaper Les Échos, and also included Robert Dudley, CEO of multinational oil and gas company BP PLC. To emphasize connectivity and other in-car services, automakers today look to collaborations with tech companies. Last month, the Renault–Nissan–Mitsubishi Alliance announced a partnership with Google, who will provide Android-based infotainment systems to all the alliance’s vehicles beginning in 2021. Asked about potential competition from the world’s tech giants, Ghosn said that Renault–Nissan–Mitsubishi does not see them as threats. Speaking on the topic of innovation in the auto industry, the panelists were asked about competition over young tech talent. “Today one out of every five persons in BP has been there less than five years, so there is a lot of great young talent coming into BP,” said Dudley, adding that people may not have the right impression of the company going in. “But then they see the technology that we have—AI, seismic imaging—it’s a new world,” he said.